On Friday San Diego Magazine honored the members of the ’50 People to Wach List’. Amongst the people featured was my friend Carlos Algarin, CEO of RentAToy. RentAToy is the ‘NetFlix for Toys’. If you have kids you should check it out today. Oh – and Carlos – I forgive you for not coming to the Sandios Kick-Off Party. Category: Search | Comments Off on Check It Out! Today Google will discontinue its Catalog Search Solution. It seems no-one wanted it. Today Palm presented its new smart phone Palm Pre at CES in Las Vegas. And it just made the top of my shopping list (does anybody want to buy my Wii with Tiger 09?). I still love my G1. But it really does not work well as a phone. Yesterday I tried to call into a conference call and had to scramble to find one of my other (12) phones, as the G1 did not (no longer?) produce DTMF tones! 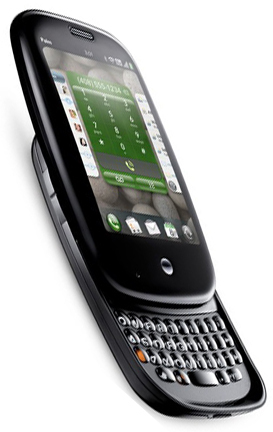 That selaed the deal for me: I am getting a phone-phone , keep the G1 with T-Mobile data plan and wait for my Palm Pre. Finally (justifying the title): all you iPHONE owners: it is not a phone; it is a liftstyle-Apple-sales-infusion device. Buy Apple stock instead – it’s cheap right now. Category: Search | Comments Off on Throw away your iPhone! If you want to bring the Internet to you tv you typically need a separate device — a video-game console, DVD player or set-top box with Internet access. Now you will be able to take a more direct route with LG. The company announced a line of televisions that can directly receive Internet video in addition to satellite and cable signals. LG’s line of LCD and plasma televisions is called Broadband HDTVs and are expected to cost around $300 more than comparable models without Internet access, said Tim Alessi, director of product development at LG Electronics. Owners of the televisions will not be able to browse the Web freely though— the TVs’ processors and memory chips are not up to that task. But the Broadband HDTVs will have access to a variety of specific video sites, and on Monday, LG will announce one in particular: Netflix.